It is the dream of many to own their own home, especially after spending years renting homes and apartments. Most landlords do not allow renters to make improvements or changes to the property and many restrict what pets can be in the home. Owning a home equals freedom to make changes and adopt that puppy you have always wanted. It is important to understand how mortgages and refinancing work, before making such a monumental decision. Many potential home buyers choose to meet with a home mortgage professional long before choosing a home to purchase. Prequalification makes the home buying process much easier and gives the buyer an idea of what kind of monthly payments will be required and reveals other costs, such as a down payment, closing costs, and homeowner’s insurance. It is a good idea to meet with several lenders to determine who offers the best interest rate. 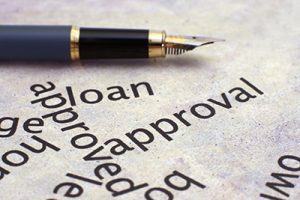 If your credit history is less than stellar, you may want to spend a year or two before beginning the home buying process working on building your credit rating up to a level that is acceptable to most lenders. Once the purchase is complete, it may be wise months or years down the road to refinancing a mortgage. Refinancing is done for several beneficial reasons. Many people choose to refinance in order to get a better interest rate. Perhaps when the home was purchased the rates were higher or the purchaser’s credit rating was not the best. Homeowners who choose to get an adjustable-rate mortgage may also choose to refinance and convert to a fixed-rate mortgage. A fixed-rate mortgage eliminates fluctuating mortgage payments and nasty surprises if interest rates rise drastically. Homeowners may choose to refinance in order to utilize the equity in their home to consolidate debt or pay for needed purchases, such as an automobile or home repairs. However, it is important to exercise caution when using the equity in a home to pay off debt or create a pool of cash that is available for spending. It is important to utilize equity wisely to avoid creating more debt in the process.